Hey there. My name’s Heather and I am interested in all things beady. I love the patterns in rocks and the shine of metal and glass. One of my favourite places to be is a pebbley beach, with hours free to just stare at the stones and sort them into little piles. I fell head-over-heels into this jewellery-making malarkey at the end of May 2009. If it looks beautiful or quirky or elegant or technically complex, I want to know how to make it. I will pursue the learning of a whole raft of unrelated techniques all at the same time. It keeps me busy! 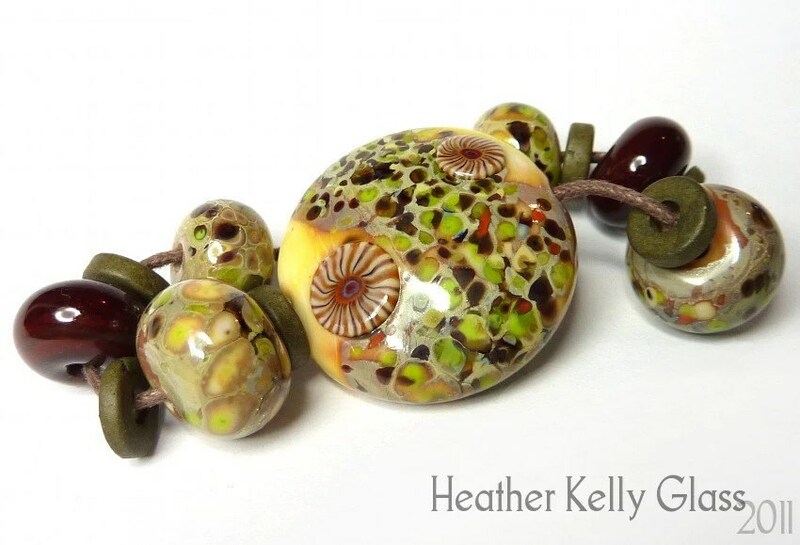 More recently, I’ve started doing lampwork. I melt glass rods! It took me quite a while to get my setup all ready, lots of sawing and sanding and attaching bits of mdf together. All totally worth it, because I am well and truly addicted. My glass collection is proceeding apace and I read every tutorial I can get my hands on. Soon it will be time to get a kiln… This time last year I don’t think I knew that it was possible to do this as a hobby, let alone that I would be! I melt glass, and it’s great. I’ve read every post, and it’s been enlightening for a newbie wannabe lampworker – great work, thanks for sharing!